Manufacturer: Schaffner. Type: RFI Power Line Filter. Model: FN 258-180-40. Manufacturer: Schaffner. Type: RFI Power Line Filter. Manufacturer: Schaffner. Type: RFI Power Line Filter. Model: FN 258-100-35. Manufacturer: Schaffner. 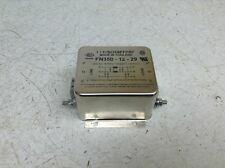 Type: EMI Power Line Filter. 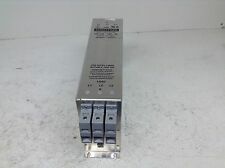 Manufacturer: Schaffner. Type: RFI Power Line Filter. Model: FN 356-25-33. 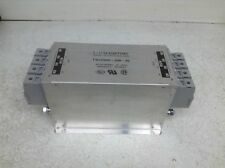 SCHAFFNER FN5045-4.5-44 FN50454544 Line Reactor ! NEW ! Manufacturer: Schaffner. Type: RFI Power Line Filter. Model:FN 355-20/03. Male spade plugs bench tested fine. 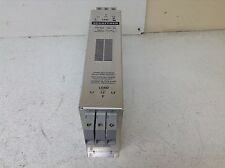 SCHAFFNER FN660-16/06 FN 660-16/06 1-PHASE POWER LINE FILTER 110 250V 16A. We primary injection test and secondary test all breakers that are listed as tested. We are always buying!